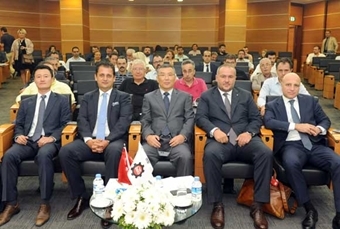 Istanbul Chamber of Industry (ICI) held the event “South Korea Country Day: Opportunities for Turkey” aiming to improve the economic cooperation between Turkey and South Korea, and bring together investors of the two countries. Young-Cheol Cha, Consul General of the Republic of Korea in Istanbul, and officials of the Consulate as well as many industrialists and business people attended the event hosted by ICI Board Member Serdar Urfalılar in Odakule with the support of the Consulate General of South Korea in Istanbul. Opening the South Korea Country Day event, ICI Board Member Serdar Urfalılar expressed immense pleasure to see that their historical ties of friendship and fellowship increasingly continue in commerce on the 60th anniversary of the diplomatic relations. Urfalılar pointed out that they hear the name South Korea more and more each passing day with its R&D investments, technological products and value added, and the country is a regional and global influencer with respect to economy, first and the foremost, and in cultural and social realms. He remarked that South Korea holds an important place in Turkey’s foreign trade strategy. Urfalılar emphasized that boosting trade with South Korea is a significant goal for them. Urfalılar noted that South Korea was the eighth top exporter to Turkey but ranked 49th among countries importing from Turkey in 2016. He underlined that Turkey’s imports from South Korea corresponded to $6.3 billion of the trade volume, out of a n approximate $7 billion in 2016. Urfalılar said that enterprises operating in competitive sectors such as food, construction, textiles and ready-to-wear should put more efforts into growing the bilateral trade volume and balancing trade figures in favor of Turkey. Referring to the Free Trade Agreement on gradual liberalization of the trade in goods between Turkey and South Korea which entered into force in 2013, Urfalılar remarked that the “Agreement on Trade in Services” and the “Investment Agreement”, signed in Seoul in 2015, would be included in the scope of the Free Trade Agreement, establishing the legal infrastructure of economic and commercial relations to the fullest extent. Urfalılar pointed out that these agreements were critical for companies in order to increase trade volume and cooperation with South Korea. He said that they expect these developments to accelerate the pace of economic and commercial relations between the two countries, and expressed their will to increase the number of Turkish companies doing business in South Korea and see an increasing interest in Turkey by South Korean business circles. Taking the floor next, Young-Cheol Cha, Consul General of the Republic of Korea in Istanbul, stated that the blood brotherhood and historical legacy built on the Korean War tied the two countries emotionally despite their geographical apartness. Cha indicated that, in spite of historical and cultural commonalities, the peoples of Turkey and South Korea do not have knowledge of each other, and the bilateral trade volume is not sufficient. Cha gave a list of the drivers for investing in South Korea; namely the country’s market, growth potential of this market, its global network as well as its technology, R&D and innovation opportunities. He then pointed out that South Korea’s major industrial branches were smartphones, automotive supply industry, steel, chemicals, transportation equipment, and lithium batteries. Cha emphasized that South Korea recorded 4.23 percent of R&D spending to GDP ratio, ranking second in the world after Israel. 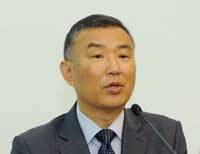 Cha added that there was great potential for boosting trade between South Korea and Turkey. According to Cha, Turkey had advantages such as large areas of land, young population, excellent infrastructure and regional location while South Korea’s strengths were information technologies, manufacturing industry, and global network. 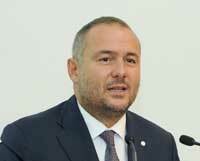 He said that the friendly partnership between the countries would create a massive synergy. The opening remarks were followed by the session titled “Cooperation and Investment Opportunities in the South Korean Market” featuring detailed presentations by Bumin Kaan Köktürk, an official of the Ministry of Economy and former Commercial Attaché in Seoul, and Young-Yeol Yoo, Chief Consultant at the Korea Trade-Investment Promotion Agency (KOTRA). 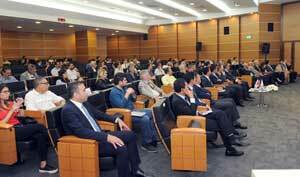 The presentations focused on South Korean economy and partnership opportunities. The program continued with a panel during which business people from South Korea and prominent industrialists who have been engaging in various economic activities in South Korea for years shared their experiences with the audience and answered questions. After delivering their speeches in the panel titled “Investment and Cooperation Experiences in South Korea”, Cavit Yıldız, CEO of Haco International Invest and Consultancy Inc.; Hakan Burucu, Vice President at Orhan Holding Automotive Group, and Murat Palaoğlu, Leader and Partner of KPMG Turkey Korean Desk, responded to questions from the audience.